How Much Do Opticians Make? How much does an optician make a year? What is the average optician pay? 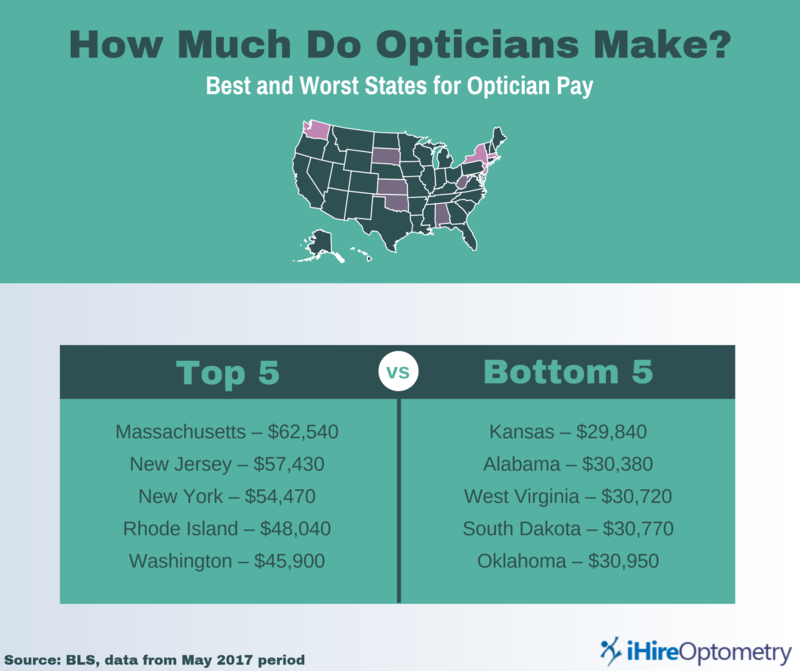 Which states offer the highest optician salary? Read on for answers to these questions and more. How much do opticians make? The Bureau of Labor Statistics (BLS) is an excellent resource for pay information as well as job outlook (which is highly promising at 15% growth). 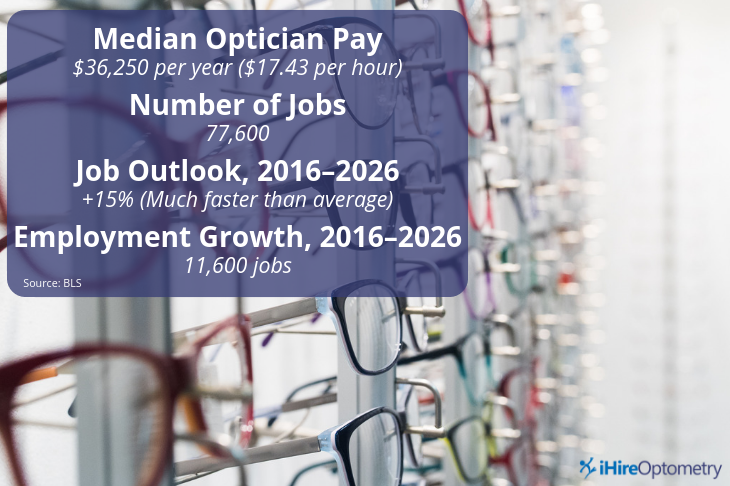 Median optician pay in the US is $36,250 per year (or $17.43 per hour). Furthermore, opticians make slightly more than dental lab, ophthalmic lab, and medical appliance technicians ($35,250 median pay). While the median optician pay may be just over $36K in the US, opticians in Massachusetts, New Jersey, New York, Rhode Island, and Washington have significantly higher salaries (as much as $62,540). The worst states for optician salaries are Kansas, Alabama, West Virginia, South Dakota, and Oklahoma (as little as $29,840). 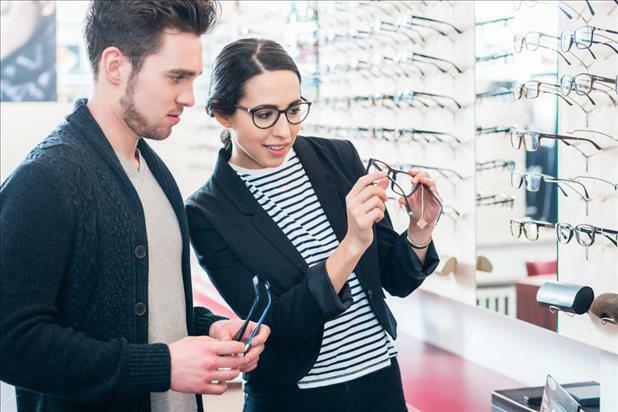 Opticians most commonly work in optometry offices, physician offices, health and personal care stores, and general merchandise stores. Of these locations, opticians in physician offices have the highest pay ($38,790 median annual wage) while opticians in optometry offices command the lowest salaries ($34, 710 median annual wage). Now that you know how much opticians make, the best and worst states for this position, and how quickly optician jobs are expected to grow in the future, check out openings in your area today and take the next step in your optometry career!